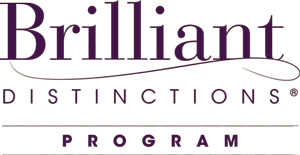 Vive Medical Weight Loss and Aesthetics is a proud participant of Allergan’s Brilliant Distinctions FREE rewards program. As a member of Brilliant Distinctions, you will earn points with every Botox, Juvederm, and Kybella treatment plus all LATISSE and SKINMEDICA purchases. And now CoolSculpting has been added to the Brilliant Distinctions program as well. Brilliant Distinctions points can then be redeemed for coupons to save you money on your next product or treatment! How does Brilliant Distinctions work? Well, every time you have a treatment or buy a product made by Allergan, like Botox, Juvederm, Latisse or SkinMedica, you earn points. The new and improved Brilliant Distinctions program is much easier to use and points don’t expire. BD coupons are equal to cash in our office. There is no limit on the amount of BD coupons you use. When you sign up, choose Dr. Matthew Pinto as your provider in order to take advantage of the program and savings at Vive. This program is free and there is no risk, only reward. All cash back coupon codes must be obtained online or through the BRILLIANT DISTINCTIONS APP prior to your appointment. Please print out the coupon code and bring it to the appointment.